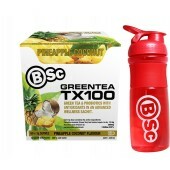 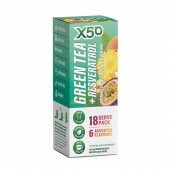 BSC Lean Wellness Pack VEGAN WINTER WELLNESS PACK INCLUDES: Hydroxyburn Lean 5 900g Green..
Green Tea X50 Watermelon 60 Serves A new flavour of the Green Tea X50 family has just turned in a..
Green Tea X50 Apple Berry 60 Serves An exclusive taste of Apple Berry in a Tea! 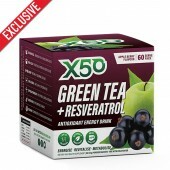 Calling the at..
X50 Stack 100% Lean Whey Protein + Vita Matcha + Free Shaker X50 100% Lean Whey Protein 1kg 30 Se..
EhPLabs Oxyshred Thermogenic + Green Tea X50 30 Serves EhPLabs Oxyshred Thermogenic Fat Burner ..
Before You Speak One High-Performance Coffee 30 Sachet Your extraordinary superfood coffee! 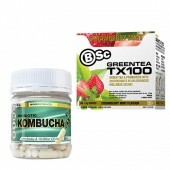 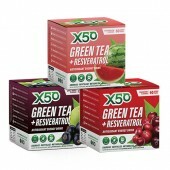 ..
X50 Green Tea + Resveratrol Assorted Flavour It's not 3, but 6 Assorted Flavours! 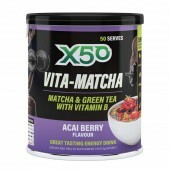 Looking..
X50 Vita-Matcha 50 Serves from Tribeca Health Supplements + Free X50 Jug and Hat! 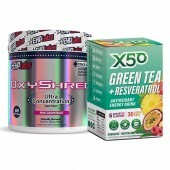 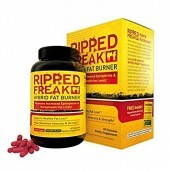 An extraordinar..
Ripped Freak 60 Caps Hybrid Fat Burner Powerful All-In-One Hybrid Formula Ripped Freak Fat Bur..
Green Tea is one of the healthiest drinks on the planet. 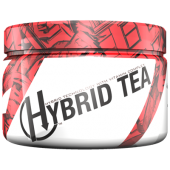 It is loaded with antioxidants to help improve general health + wellbeing as well as being able to help boost metabolism + aid in weight loss. 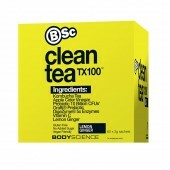 It also contains naturally occuring caffeine to help with increased energy levels. 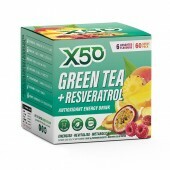 The main antioxidant in Green Tea is EGCG, or epigallocatechin gallate, and this poweful antioxidant can help increase levels of hormones that tell fat cells to break down fat. 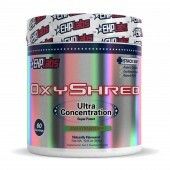 This releases fat into the bloodstream and makes it available as energy by cells that need it, like muscle cells. 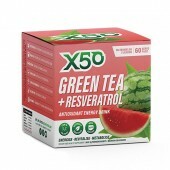 The fat burning effect of Green Tea is enhanced, of course, when partnered with an exercise program and healthy balanced diet.